Adnaan Sami and Armaan Malik Fight It Out at the Voice - But Why? 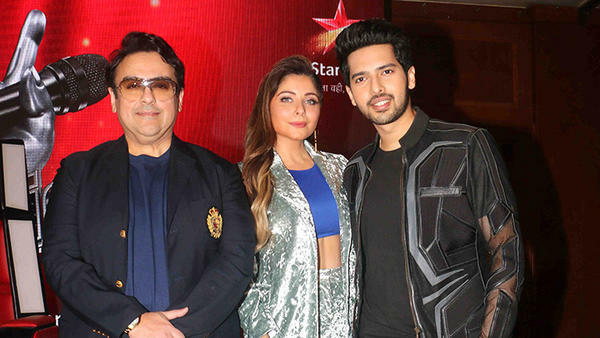 The most recent news that is brewing the Internet gossip is all about Adnan Sami and Armaan Malik. If we go with the recent media updates, Adnan Sami has stopped shooting and walked out from The Voice set to sit in his vanity van. No amount of coaxing is helping and matters are going from bad to worse because of Armaan Malik. The story goes that Armaan and Adnan have never got along on the Star Plus show. What exactly happened today is that Armaan did not go to the set directly. He went into Hotel Westin, called up the show's team and asked if Adnan has arrived. Adnan hadn't yet reached Film City and when Armaan was told this, he asserted that he would start only when Adnan had arrived. The team called him back after few minutes to inform that Adnan has not only reached but all ready to shoot. Enquiring this, Armaan set out for Film City but after taking his own sweet time to chill a bit in Westin. Clearly, he wanted to irritate Adnan by reaching late for the shooting. Eventually when Armaan reached, the verbal war broke out on the show with both trying to pull the other down. Suddenly, Adnan walked out and shut himself in his vanity van. A major part of the show was shot without Adnan since rest of the team members could not cool their heels for a very long time. Well, we hope that Adnan is back on the show with the same fire and excitement. What do you think? Guess Which TV Star is Hosting Star The Voice India 3? How Will Tanisha Survive Without Armaan? Sonakshi blocks Sona Mohapatra after the latter took a dig at her tweets about Armaan Malik! Adnan Sami Is Now An Indian! Hindus Forced To Flee Pak, Malik Calls It Conspiracy!